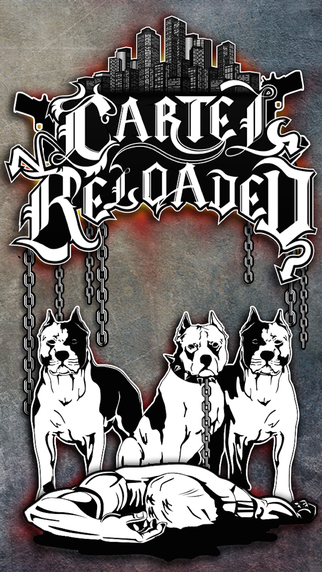 [prMac.com] Timisoara, Romania - Roasted Brains Studio today is thrilled to announce Cartel Reloaded has its first year. The sequel of the best MMORPG for iOS, Cartel Wars, lets players compete over two cities, Medellin and SinCity, building their own Crew and being part of a Cartel. Cartel Reloaded challenge includes a very unique PvP style, and of course the Cartel Wars element where players can participate in Cartel and Crew fights to control two different areas of the cities: Hoods and Blocks, which result in bonuses in cash and hustlers while those areas are controlled. The goal is to grow your character, to build your own Crew and Cartel, and to become the best and the famous Cartel in Cartel Reloaded. As the game advances, the player gains experience and can add through Roasted Coins additional RPG elements, including character development, stats customization and additional equipment. An achievement system allows players to earn Roasted Coins for reaching in game milestones as well as tops users lists displays the top players in different categories. Do whatever it's needed to get to the top! Do actions for cash or for Escobar Reputation, fight other cartel's members, take on new Props, Hoods or Blocks, buy or win various items and lethal weapons... all in your efforts to grow your name in Cartel Reloaded! But you have to get ready for the Cartel Reloaded as it brings you into the midst of a world where you must fight to stake your claim as a competitive force! Through a realistic in game economy, an in depth PVP fight system, and through claiming and holding properties with your crew/cartel against the onslaught of your enemies. The Cartel Reloaded is unlike all other games the iOS AppStore has to offer. It gives you the opportunity to dive into a very social environment with it's ingame forums and private messaging system. However, for those lone wolves out there who prefer to keep to themselves you won't be missing out on any of the terrific gameplay aspects Cartel Reloaded has to offer. If you're someone who considers yourself a good businessman Cartel Reloaded offers very realistic gameplay especially in terms of it's economy and market system. Through the production, trading and sale of commodities, to the smuggling and trade of weapons, as well as countless other ways to turn profit, you can establish yourself as a financial force to be reckoned with! On the other hand if you prefer to battle your way to the top, than Cartel Reloaded has the most unique, interactive and complex PVP fighting system for you to explore. Between three types of damage coming from a variety of different variables every hit, you must learn how to manipulate the damage in your favor. Cartel Reloaded is a fascinating game, featuring an immersive and richgameplay designed specifically for iOS devices, and representative graphics for that respective type of Mafia games. If you are ready to keep your friends close but your enemies closer as you make your way to the top in this engaging and addictive RPG then wait no longer! Download Cartel Reloaded now! "I enjoy The Cartel Reloaded because I love the social interaction and the competitive background. I trust that the gameplay is fair and rewarding at times. It creates a dynamic where each face or angle of the game requires some knowledge and can be seen from different perspectives. MUST TRY!!!" "Great game, awesome features and developer support. Beware of becoming addicted and getting sucked in like the rest who play!" "No other way to describe this game other than an infectious and enjoyable roller coaster filled with alliances, betrayal, strategy and tactics that challenge and thrill. This game is a must have!" "New company has pimped new life into what was the best, most involved mmo type game available. Be aware the game has a steep learning curve but once you get Rollin its a blast. Word of caution it is insanely addictive!" Cartel Reloaded 2.7 is Free and available worldwide exclusively through the App Store in the Games category. This is an online game only. iPod touch users must be connected to WiFi in order to play the game. Located in Timisoara, Romania, Roasted Brains is an independent mobile application studio based on the passion for building great iOS apps and games. Copyright (C) 2014 Roasted Brains. All Rights Reserved. Apple, the Apple logo, iPhone, iPad, iPad mini, iPod touch, and Mac are registered trademarks of Apple Inc. in the U.S. and/or other countries. Other trademarks and registered trademarks may be the property of their respective owners.